Aug. 25, 2015, 1:38 p.m. 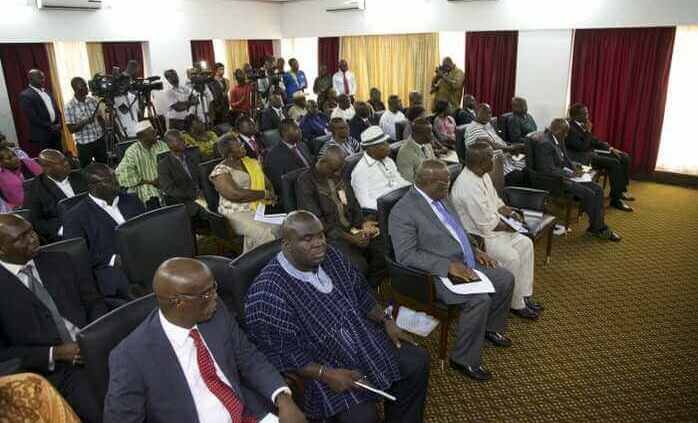 The Ashanti Regional House of Chiefs have expressed worry over the practice of abandoning Government projects which may have been initiated by previous Governments as a result of differences in political ideologies. Speaking on behalf of the House of Chiefs at a consultative forum in Kumasi for the formulation of a 40-year long term national development plan, Barima Sarfo Tweneboah- Koduah, Chief of Kumawu Traditional Area said as opinion leaders of the land they think such practices do not impact positively for sustainable development. Barima Tweneboa- Kodua stressed that as traditional rulers it has always been their desire to see people in their communities live in a healthy, secured environment. He mentioned that this can only become possible if governmental policies in Agriculture, Health, Education, Economic Planning security among others are not politicized. The Chief suggested the need for policies in such sectors to be binding on all governments to ensure synergy and continuity for sustainable development. 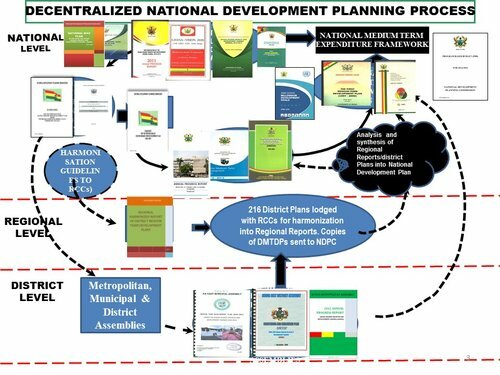 The two day consultations was organised by the National Development Planning Commission(NDPC) on 13th and 14th August 2015 in Kumasi to solicit public inputs for the preparation of a 40- year National Development Plan which is to guide the development of the Nation from 2018-2057. During the opening session of the consultations, the Chairman of the National Development Planning Commission (NDPC), Prof. Kwesi Botchwey expressed the importance of long term development planning which is sometimes underestimated. He indicated that history of post war development in the developing world shows clearly that countries such as Korea, Taiwan, and Malaysia who have concentrated on long term national development planning have over the years achieved high income growth than others. This consultative process is commencing after the successful launch of the process for the preparation of a long term national plan at the Accra International Conference Centre on the 4th Of August 2015. The Ashanti Regional Minister, Hon. Peter Anarfi Mensah praised the efforts of the National Development Planning Commission (NDPC) at bringing all Ghanaians on board through this consultative process to ensure ownership of national development agenda. He said he was hopeful that this will ensure coherence in national development and place Ghana on the paths of development just like Singapore Malaysia among other Countries. The Director General of the National Development Planning Commission (NDPC), Dr. Nii Moi Thompson in his presentation established why a long term plan is so priceless. He said it will ensure national progress and sustainable development that will lead to actual reduction in poverty levels among Ghanaians. He also mentioned that such a development process will go a long way to reduce the party politicization of development process. 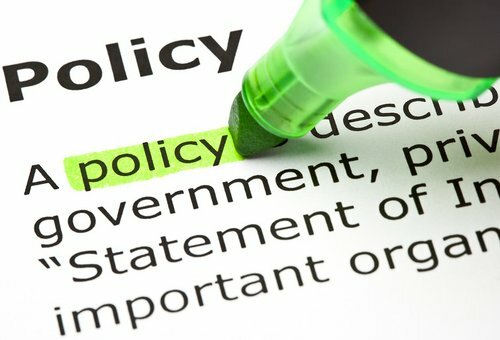 He further stated that a development plan which is national in character stands a greater chance of being adhered to by successive governments than a sectorial policy.